According to the NuRAN Wireless MD&A dated September 28, 2018 (available on SEDAR), the Company has a multitude of partnerships underway and a sales pipeline of over 50 opportunities. The MD&A states that these 50 opportunities could generate over $100 Million of possible revenue. Lately NuRAN has been demonstrating to investors they are serious. NuRAN has been executing and here is the proof. 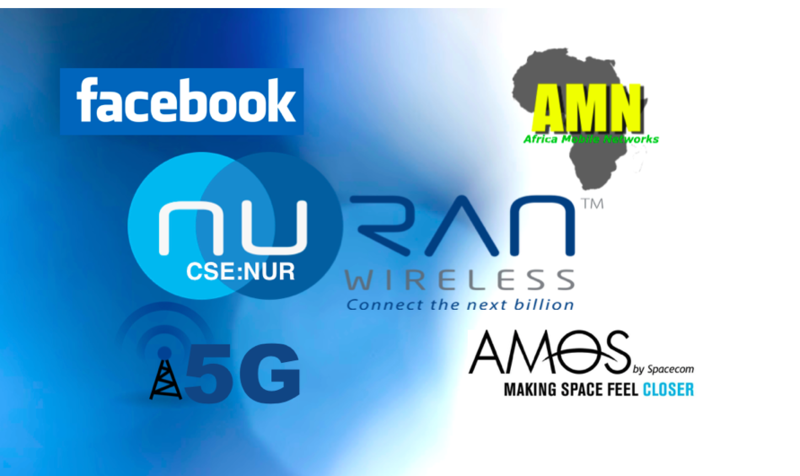 On June 14, 2018, NuRAN Wireless Inc. announced the signature of an agreement with Africa Mobile Networks (“AMN”), a wholesale mobile operator, to supply its rural 2G radio access network (RAN) solutions for a minimum of 5 countries with the potential of expanding to 13 additional countries. According to the announcement, over 3,000 sites are to be deployed in the initial 5 countries. Here is some quick math and extrapolation based on the April 3, 2018 news where they announced a contract for 150 stations. The April 3, 2018 release states that 150 stations were being installed and the contract is worth about C$ 400,000. The Africa Mobile Networks (AMN) deal is for 3000 stations in 5 countries to start and an additional 8 countries afterward. If 150 stations = C$ 400,000 then 3000 = C$ 8,000,000 from the first 5 countries. If all 13 countries ordered the same amount of sites per country that would total over C$ 20,000,000 in revenue for the company. Another key point in that news release is “The Africa Mobile Networks plans to invest over US$ 550,000,000 (that’s half a billion!) in network infrastructure assets over 3 years”. The AMN has no shortage of money and they plan to invest in their mobile networks. It would be reasonable to expect that NuRAN, who is already a supplier, has a very high possibility of getting at least $20 Million out of that $550 Million that AMN is planning on spending. On November 14, 2018, NuRAN signed a trial agreement with an undisclosed Tier-One mobile network operator (“the Operator”) for Kenya . According to the agreement, NuRAN and the Operator will perform a field trial of LiteRAN 2G, NuRAN’s leading mobile network infrastructure solution for rural connectivity. The trial is a prerequisite step towards an expected rollout for hundreds of sites which have been already identified. The trial is expected to be completed within calendar Q1 2019. 1) The Republic of Kenya has a population of approximately 48 Million people and has the largest economy in eastern and central Africa. There are a lot of people to get connected there. This is a huge market for NuRAN and could alone support the Company. 2) Things move quick and Q1 2019 ends in March! We will be expecting an update on the field trial and some visibility on how many units are going to be ordered. This could be a major catalyst that a lot aren’t expecting yet. On December 18th, 2018 NuRAN received new orders totaling over C$1 Million related to its rural connectivity solutions. These purchase orders to the NuRAN engineering division called Nutaq, were received by new and repeat customers including, Africa Mobile Network (AMN), Sofie Bioscience, an undisclosed reputable global social media company (How many are there out there really?!? ), and a number of research centers based throughout the United States, Europe, and Australia. It is great to have more purchase orders coming in and C$ 1,000,000 is nothing to sneeze at. But the underlying point here is that a lot of the orders are repeat orders. To us that means that all the new clients coming in have a good chance of reordering or being upsold and the contracts like Kenya that are in “testing” have a high probability of being won. On January 17th, 2019 NuRAN announced the conclusion of a conditional trilateral sales agreement with an undisclosed Mobile Network Operator (the “MNO” or the “Client”) and Spacecom, operator of the AMOS satellite fleet. NuRAN will be offering a turnkey solution to the undisclosed MNO under the Mobile Network Enabler (“MNE”) business model which was launched on October 9, 2018. This is the company’s first major project under the MNE model. The initial order will be for 200 sites, which will result in approximately $9 million CAD in revenue for the Company over a 12-month period. The expected scope of the entire project is for a total of 2,000 or more sites, which could represent upwards of $90 million CAD in revenue. If we look at what is in Exhibits 1 to 4 above, NuRAN has somewhere between C$ 10,000,000 (ten million) and C$100,000,000 (one hundred million) in sales in the pipe. That’s a lot of sales! With a market cap around 10 million, there is a lot of room to grow! On January 15th, 2019 NuRAN announced the appointment to the Board of telecom industry veteran, a gentleman called Christian de Faria. Mr. De Faria has worked for five of the largest telecom companies in Africa, South Asia, the Middle East and Europe. His specialty is the rural and remote area market. Our thinking is that Mr. De Faria will open his Roll-o-dex and at least generate some good introductions for NuRAN. NuRAN will continue to win contracts on its own merit. There is a future value here and we are really keen to see what it will be! On January 8th, 2019 – NuRAN was granted a US Patent on its proprietary 5G Massive MIMO technology. The Canadian patent was already announced on April 12th, 2018 which has already been granted, therefore locking in the entire North American market. We all know that 5G is going to be huge. The fact that NuRAN has patents in this space is really amazing and quite impressive and it proves how forward thinking NuRAN is. We would expect the Company to start monetizing these assets and with this knowledge, in the near future this IP can become a service that will be sold to other mobile operators for their integrations in to the 5G systems. Last but not least, on November 8, 2018, NuRAN secured a long term low interest loan facility of up to C$ 3,000,000 with the Quebec Government and its ‘Créativité Québec’ program. The support of the Quebec enables NuRAN to reach an even broader market by addressing not only the rural and ultra rural markets but now targeting the suburban markets and the North American outlying regions as well specifically in areas specifically with poor to no cellular phone connection. With support from the Québec government and a 5G patent in Canada, we believe it is only a matter of time until NuRAN Wireless partners or at the very least run trials of its patented technology with a Canadian Telecom company. In closing, as we look at the recent developments and achievements NuRAN Wireless has accomplished, its no secret that it looks to be quite the year for this growing tech company and 2019 should prove to be quite the accretive year for both the company and its shareholders.